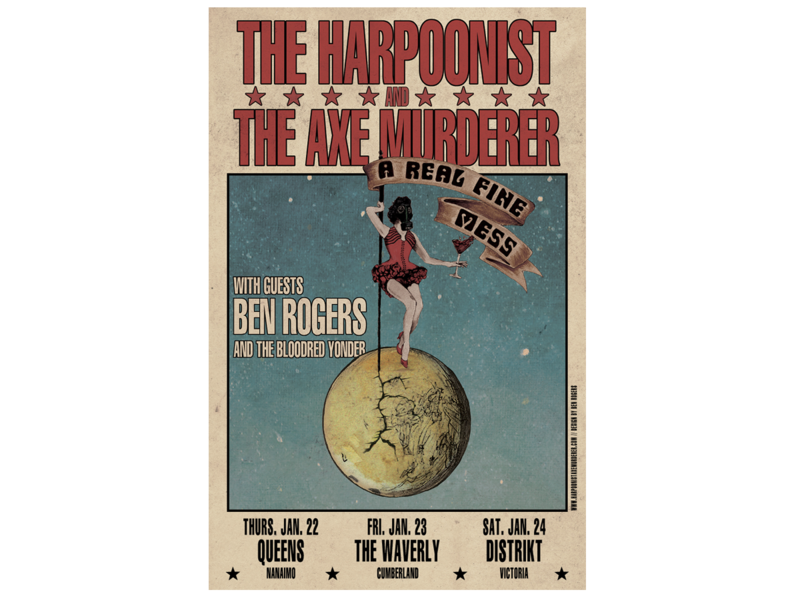 LIMITED EDITION runs of The Harpoonist & The Axe Murderer‘s tour posters with the iconic imagery (created by the Axe Murderer’s brother Ben Rogers, no less!) are now available to order! 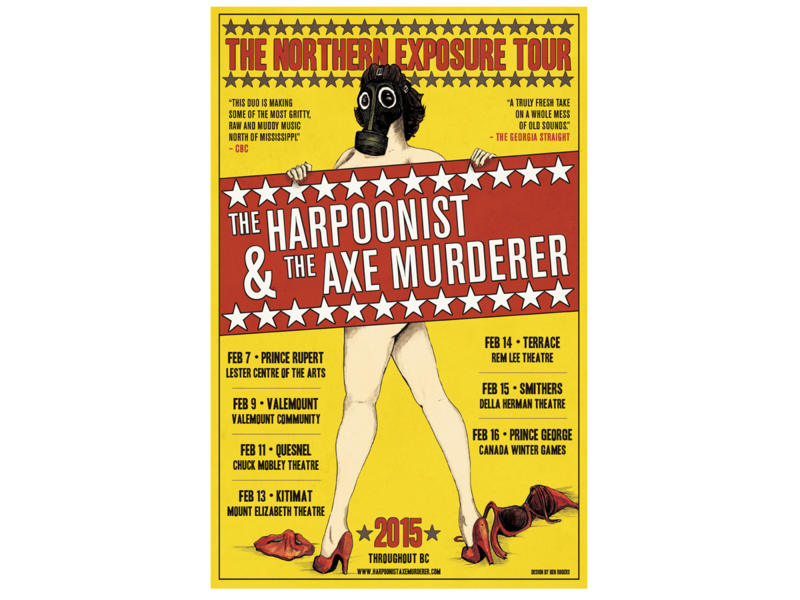 Take the artwork of ‘A Real Fine Mess’ tours home with you.